As a cinephile all the way from Australia, the Oscars were an extremely magical event that I would stay up hours for on a school night. This was just so I too could feel included in the filmic culture. Seeing actors, directors and artists being rewarded for their film making merits was always awe inspiring. Many a time as a little kid I would rehearse my Oscar speech in the mirror or to my cat. Both of which were extremely unamused. As I delved deeper into independent film making and movies, I realized that a lot of great films were overlooked by the Academy and I started to see the strings being pulled behind the scenes instead of the allure of the show itself. It seemed as though films that deserved to win were either not nominated or were beaten by lessor movies. Now when I say “lessor movies” I am referring to films that I believe won’t stand the test of time, films that are only relevant in the year they release. This also includes films that are “safe” and don’t explore anything new or innovate in anyway. Obviously all this is highly subjective, but a lot would agree. Although great in their own right, the winning films seemed overrated compared to their competition partners. The cynical side of me thinks this has a lot to do with the Academy itself and its judges. I agree that a lot needs to change within the Academy and I think it slowly is. However, what disappoints me most is that what once use to be a time of celebration and art has now been turned into an eye-rolling bore fest. 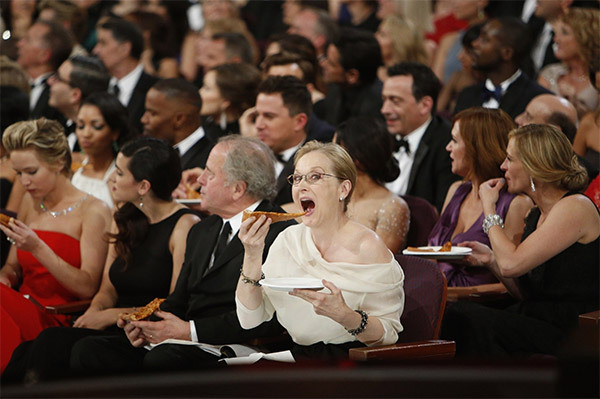 I use to hold Oscar parties and now my film friends have no interest at all. Why is this? Unfortunately I don’t have all the answers, but I do have perspective on the matter. Although the Oscars have been around long before me and although I seem to hate on the subject heavily, I feel quite the opposite. With the influx of social media, it’s become extremely easy to be pessimistic about anything media-related and I too fall into the pattern a lot. 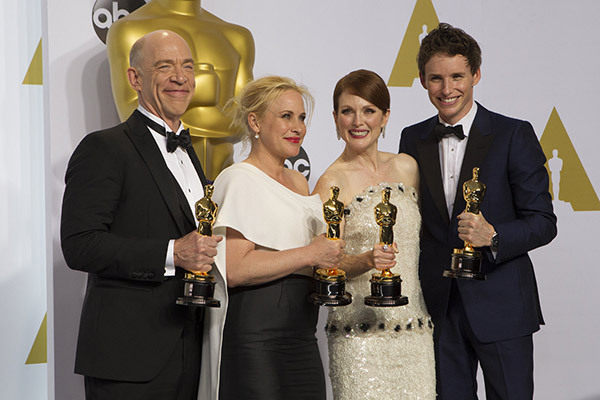 But what I think we forgot about the Oscars is the idea of the thing in the first place. The Academy and the ceremony were all created to celebrate the art of film and since 1929 it have been front runner in western civilization for film making awards. 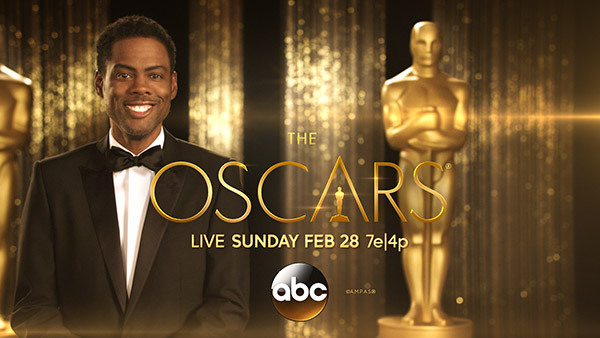 It’s not the content that makes the Oscars important, but the idea that it represents. Sure we have many other arguably better award venues dedicated to filmmaking, but none with the legacy and the enormity that the Oscars. I think this itself is a good enough justification to why the Oscars are still relevant and important… at least it is to me. So before you accidently stumble upon the show while surfing through channels, try and look past all the glamour and take a moment to appreciate what the Oscars really stand for. I mean come on, give Leo the award already! 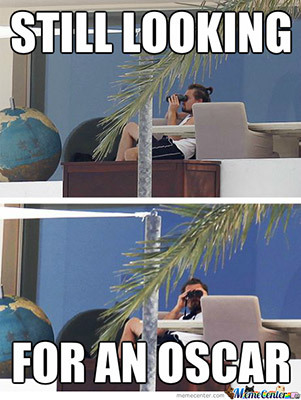 Give Leonardo DiCaprio the Oscar already!